Omar Bekdache is chief executive of 961 Beer, which takes its name from Lebanon’s international dialling code. 961 has secured itself a place in multiple export markets across the Americas, Europe, Asia and the Middle East. But right now Bekdache’s attention is on Lebanon. “My plan is to focus on the Lebanese market big time,” he tells Lebanese Streets excitedly at the company’s factory in Mazraat Yachouh, an industrial area northeast of Beirut. He’s right. 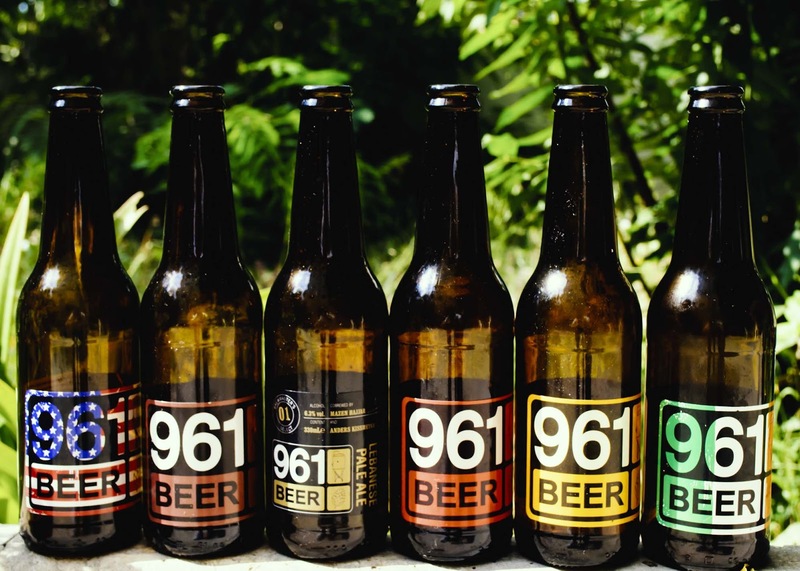 Last year, 961 was joined by Colonel, a microbrewery based in the coastal town of Batroun. A Lebanese-German man who brews Schtrunz secured a site in Ghazir with plans to gradually increase production from a base of around 300 litres per week. And the Kassalty food and beverages company in the Bekaa moved in with Beirut Beer. Heineken, which has enjoyed a monopoly over the Lebanese beer market after purchasing Almaza in 2002, also sensed the change in the air. The company has released a handful of Almaza variants and introduced some of its international brands to cater for the changing tastes amongst Lebanon’s beer drinkers that 961 is helping develop. Bekdache believes the interest in craft brewing comes from a broader change in consumer tastes that goes beyond beer. “How did it all start in foreign countries? It all started with people wanting to be healthier, organic. I think it’s very related. People began really appreciating a good product. He notes the organic food industry has only become a phenomenon in Lebanon over the last five years, with supermarkets now stacking their own shelves to compete with specialist stores. Beer is not Lebanon’s drink of choice. The country’s French colonial history has blessed it with an internationally renowned winemaking industry, which was on full display over the weekend. Thousands of Lebanese flocked to the annual Vinifest in Beirut to test their sophisticated pallets on dozens of local winemakers, with the major supermarkets watching on for high volume candidates. When it comes to beer, it hasn’t been so organised. Bekdache, a former food and beverages consultant and manager, joined partner Mazen Hajjah to start 961 back in 2006, during the July War. Hajjah had been talking about brewing for years, says Bekdache, and he details some details of 961’s beginnings in this TEDx Talk from 2011. Lebanon’s political and economic instability hasn’t done 961 any favours since its inception. “The economy has been the same way since we started, since I was born,” says Bekdache. Instability has been a constant source of problems with importing supplies and exporting to customers. In spite of this, the company’s international footprint is diverse. It’s the domestic market has been a tougher nut to crack. Up until recently Almaza had a complete stranglehold on Lebanon’s beer market and culture. When 961 first launched, many customers said ‘this doesn’t taste like beer’. More accurately, it didn’t taste like Almaza. Unsurprisingly, the 961’s lager, which won ‘Best Lager’ at the 2012 Hong Kong International beer awards, is a natural seller at home. But the company’s red ale is now selling about as much as the lager, which Bekdache is noticeably proud of. “There’s nothing similar to our beer in Lebanon, so anywhere you’re doing something completely different,” he says. The trick is getting Lebanese to understand it. Hajjah is famous for his insistence that “the Lebanese invented beer” and that the company is simply bringing the drink back to its spiritual home after thousands of years abroad. Perhaps fittingly, brewing itself is an exercise in repatriation. 961 gets its malt from Germany, while the hops come from England. Most of the time the yeast is French. The brown bottles, which unlike green and clear alternatives prevent sunlight from spoiling the beer, can’t be sourced locally. They also come from Europe.